Structure Floral in Blue Grey Area Rug ( 5' X 7'6" ) - 5' x 7'6"
The Structure Collection packs a dramatic punch with a flat chenille background and a raised design. Designs use layered colors and the 3D raised patterns to create vivid swirling designs and a striking overall look. These rugs are Power Loomed in Turkey of 100% Chenille Polyester. 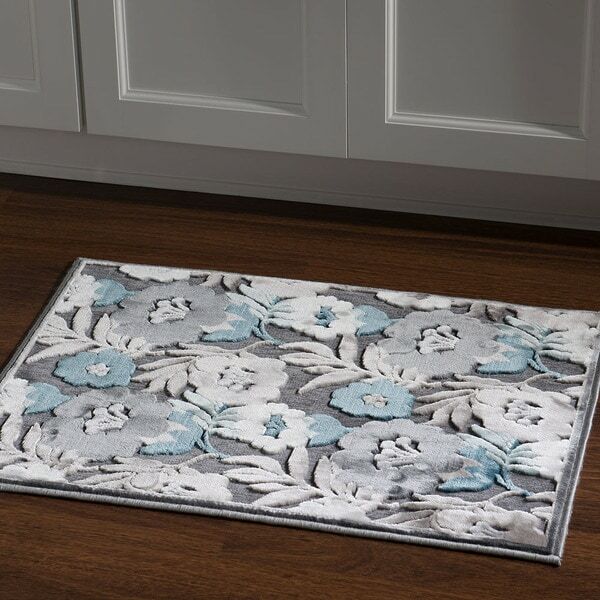 This rug will add style to your space with its eyecatching Blue color. This rug is a 2' X 3' . Safavieh Artifact Vintage Blue/ Cream Distressed Rug - 6'7" x 9'2"
Wayra Medallion White/ Light Gray Area Rug - 7'10"x10'2"